5MP RLC-422 with a pixel resolution of 2560x1920, that is, 2.4 X the resolution of 1080p Full HD, and even 1.3X the resolution of 1440p Super HD. 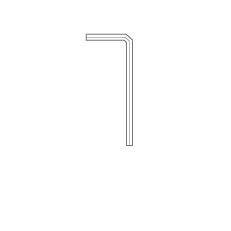 You will definitely have the best chance to see every image detail as you wish. 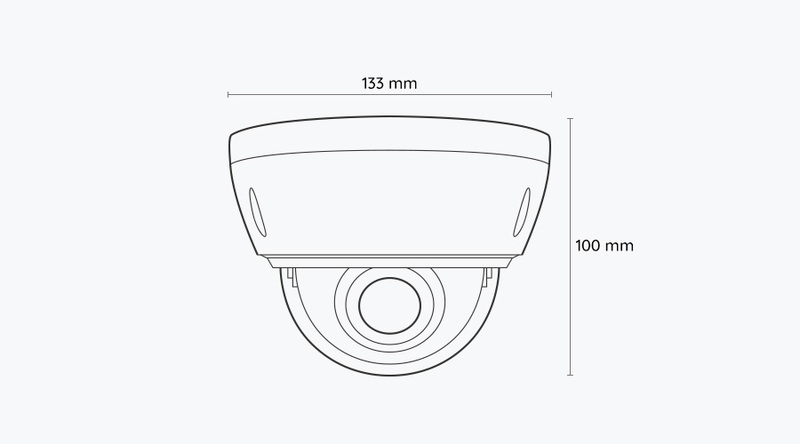 RLC-422 dome IP camera outdoor features auto focus lens, along with the viewing angle varying from 31°~90°. With 4X optical zoom, you can zoom in to see more details of far-away objects without getting closer, or zoom out to get a wider and larger view. The 4X optical zoom security camera never compromises in image and video quality. 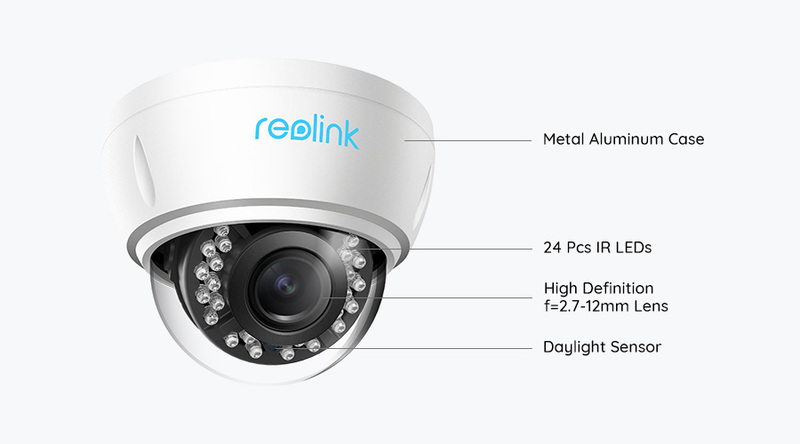 24pcs infrared LEDs and advanced IR technology make Reolink RLC-422 an excellent night vision security camera, letting you see any event clearly even in the dark. 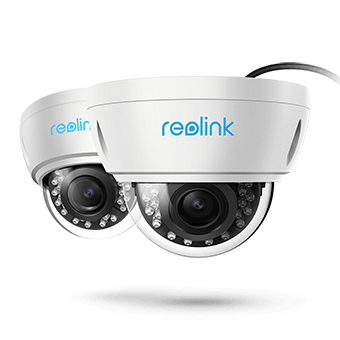 With a long night vision distance up to 100 feet, you can accurately identify people present in the event through videos captured by RLC-422 video surveillance camera. ●Send alert emails and push notifications. 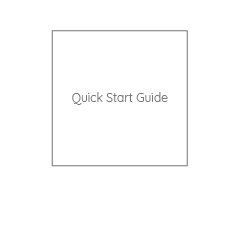 ●Upload videos and images to an FTP Server. Protect your home and business from burglars and intruders without effort! 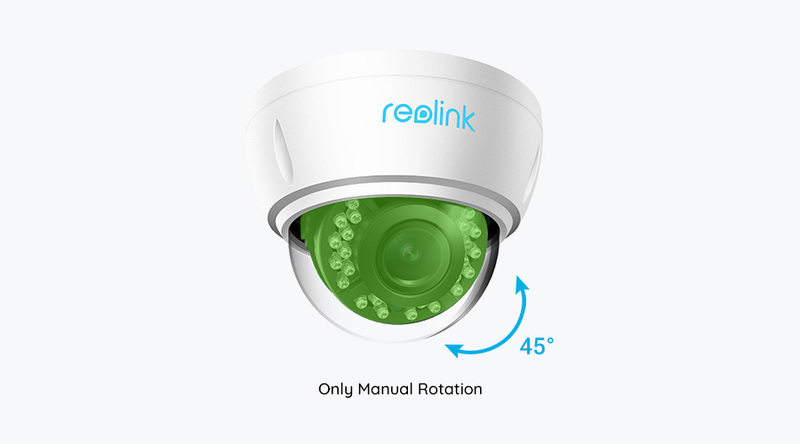 ●Record and save motion-detected videos to your inserted Micro SD card (can be up to 64GB), or your Reolink NVR. 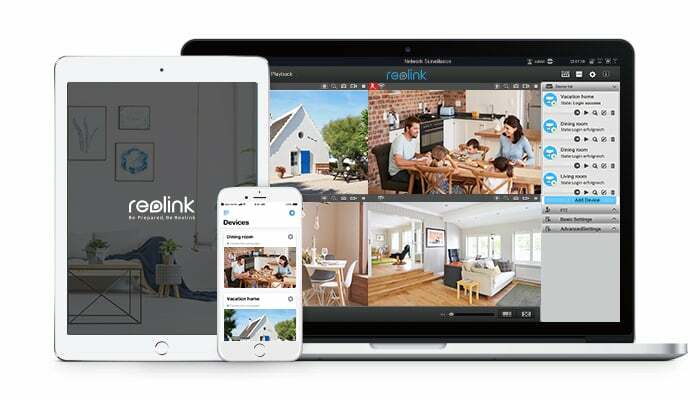 Wherever you are, you can remotely access RLC-422 network IP camera to get live streaming, and stay aware of your home and business in three ways: free Reolink App on your mobile device, free Reolink Client on your computer or web browsers (IE, Google Chrome, Microsoft Edge, Safari, Firefox, etc.). 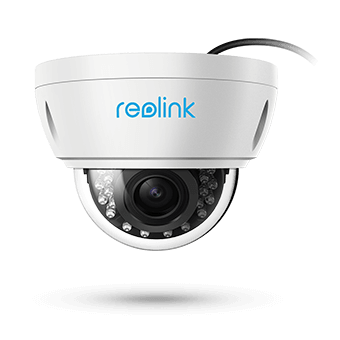 Traditional security cameras without PoE supported will need an electrical cable and a network cable, while Reolink RLC-422 PoE IP security camera only needs one network cable used for both video and power transmission. 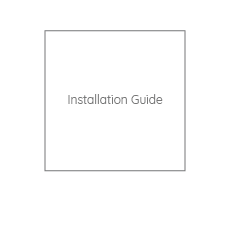 RLC-422 HD home surveillance camera is a complete DIY style, which has simpler setup and installation with zero configurations. One of the best outdoor security cameras ever, with IP66 waterproof IP rating and IK10 vandal resistant rating! 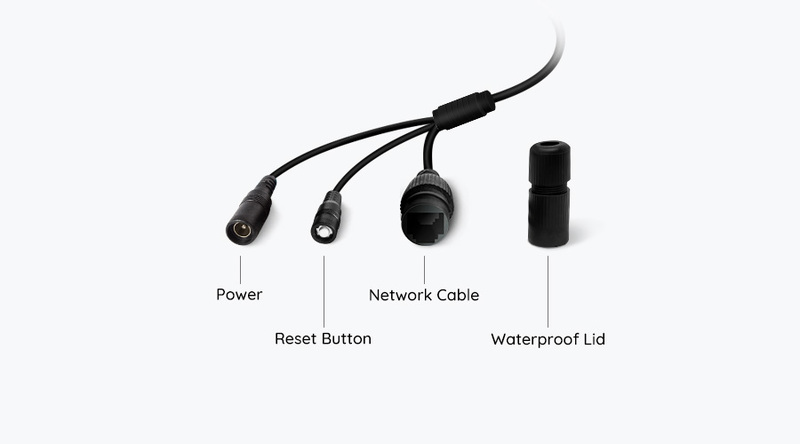 RLC-422 can withstand external mechanical impact, and work perfectly even in bad weather. 5MP/4MP Super HD Outdoor Dome PoE IP Camera; 100ft Night Vision; Support Audio Recording.